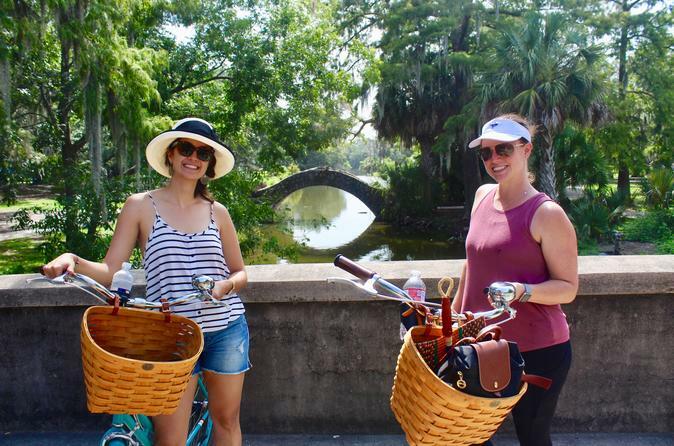 Explore historic New Orleans on this 3-hour small group bike tour through the city to the bayous. Follow your guide as they paint you a picture of a colorful past and vibrant culture of the city. Leisurely ride down the tree lined streets through history as you learn of the settlers who founded this unique port town. The tour will start by briefly examining the historic core of New Orleans, and then move on to track the city's expansion into its surrounding bayous. Enjoy an extended ride under the shade of regal oak trees as you journey down the opulent Esplanade Ave. You will cruise past swampy vistas in City Park, the largest public park in the city. You'll traverse Bayou St. John, a historic waterway that was used by Native Americans and French settlers alike, and learn why it was so instrumental in the city's founding. The tour is a total of 10 miles traveled at a very leisurely pace.